Wonderful lyrics all over the place ("Like mice in a dead-end maze/We're caught") and a band that is deeply grooving, this album rocks. I like it much better then Jazz Brat. 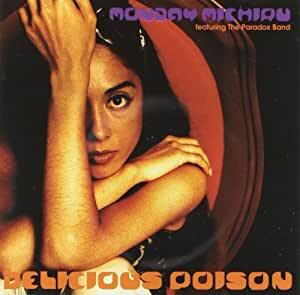 "Delicious Poison" is one of my favorite albums of all time - (although, "Optimista" by Monday Michiru is also becoming a fast all-time favorite.) Monday's arrangments are innovative, rich, textured, and all-engaging. Her lyrics are deep, introspective, and heart-felt, and never sound preachy or fake. I have read a number of reviews in the past that highly-praised Monday's music. At first, I thought the hype was unjustified. 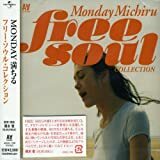 After listening to her albums, and then listening to the albums of other acid-jazz/jazz artists, I've found Monday in a class all her own. The hype isn't hype. It's incredibly good music. Not one song acts as filler on "Delicious Poison." The album starts off strong with "Black Rose" with very funky arrangments and Monday's voice dipping & falling from low to high notes. She doesn't let up either on "Leaf in the Wind" - where she uses her vocal genius to mimic a leaf bandying in the wind. The lyrics are endearing as well. This is one of my favorite moments on the album. And of course, she follows this with another favorite of mine, "Will You Love Me Tommorrow" where she briefly flirts with Latin jazz. (Check out "Optimista" if you want to hear Monday use Brazilian Samba/AfroCuban Salsa style effortlessly.) 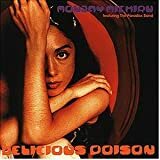 "Delicious Poison" is another funky affair... but I have to admit that when this song plays, I'm always looking forward to "Parodox in Time" which is another favorite of mine. "Conversations with Myself" is another favorite, with its deep introspective lyrics. There are so many good moments on this album - which, makes this album a classic for me. I know that throughout time, this album will be returning again and again to my turntable :). I gave this cd 3 stars instead of four simply because I believe her albums after this are a lot more diverse and truly show her talent. This and her previous albums are good, with the title track being a solid one. 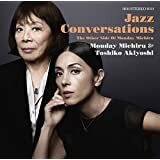 This album clearly shows a turning point in her musical path as the jazz influence comes out a lot more in her recent stuff (along with more personal lyrics). What I do love about this album is that there are simply a lot of good melodies. Let's face it, I love Monday Michiru and her voice really appeals to me, but I don't think it is one that people will universally find attractive. But the melodies on this album can't be argued with as they seamlessly flow together and give a generally good vibe. She has also surrounded herself with some very tight musicians; there are no slips in beats, and everything while there is a "finished" sound that remains, there is still a feeling that this started out as just a bunch of friends jamming. 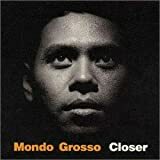 An Amazing album from an outstanding vocalist from the land of the rising sun. Its a shame that all foreign imports have no sample links attached to the tracks. I guess it was done on purpose to avoid putting some local artists to shame. Cop this CD now, if you think Incognito, Young Disciples, Brand New heavies are funky...Well, you ain't heard nothin yet! 5つ星のうち5.0IF YOU LIKE TO BRAND NEW HEAVIES SOUND YOUR LOVE THIS CD. 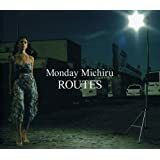 MONDAY MICHIRU SHOWS HER RANGE ON THIS ALBUM. BEING ABLE TO GO FROM JAZZ TO FUNK TO SOUL AND BACK. SHE IS A GREAT TALENT THAT NEEDS TO BE HEARD IN THE US. if you enjoy soufull vocals and great instumentals, then this is a CD you must purchase.